— Beg, borrow or steal the special 'plum jam' and 'chutneys' made by the owner Muneer Suri's mother. You will fall in love with it! An escape to the mountains of Himachal is always a beautiful idea. 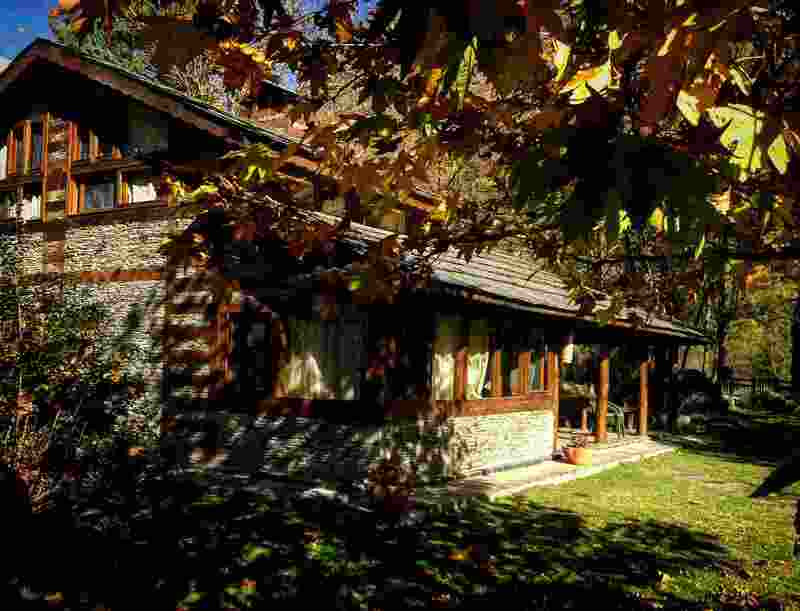 Neeralaya Raison, a Himalayan house near Manali, is your dream’ abode, where you hear the mellow resonance of River Beas, witness the soothing verdure of forests and smell the fresh aroma of orchards.To say that Neeralaya Raison is a genuine way to experience the mountain life of Himachal would be just apt. Right from its architecture, which is mostly recycled timber and local stones, to its pristine and scenic surroundings, everything about this property hints at eco-friendliness, comfort and enrichment. Neeralaya Raison has the tradition preserved without ignoring the modern elegance. So, each room is designed to meet all your needs.Just like everything else, the food at Neeralaya Raison is also pure and healthy. It’s cooked in a homely manner with fresh vegetables and poultry. 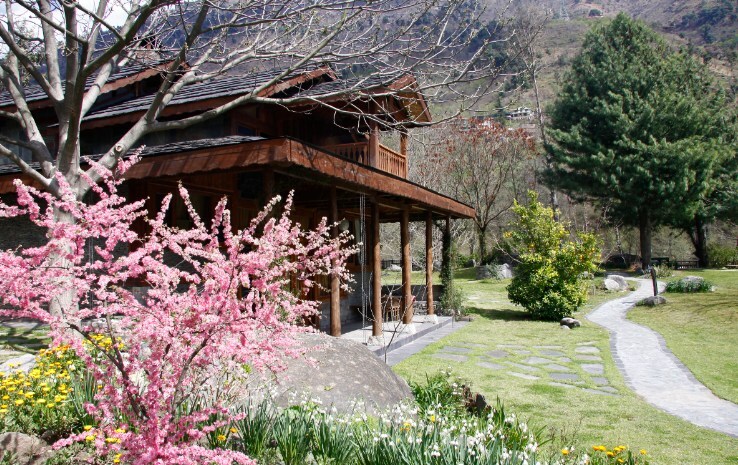 Since the property is located in a secluded village, you get an obvious feeling of peace and serenity in the atmosphere. However, Neeralaya Raison opens doors for lots of outdoor activities also, such as day hikes, picnics, river rafting and mountain biking. Besides, you can take a peek into the lives of village folks by visiting the villages and temples around. Spending a few days at Neeralaya Raison wouldn’t just be a vacation, but it would also be a great way to promote responsible travel. 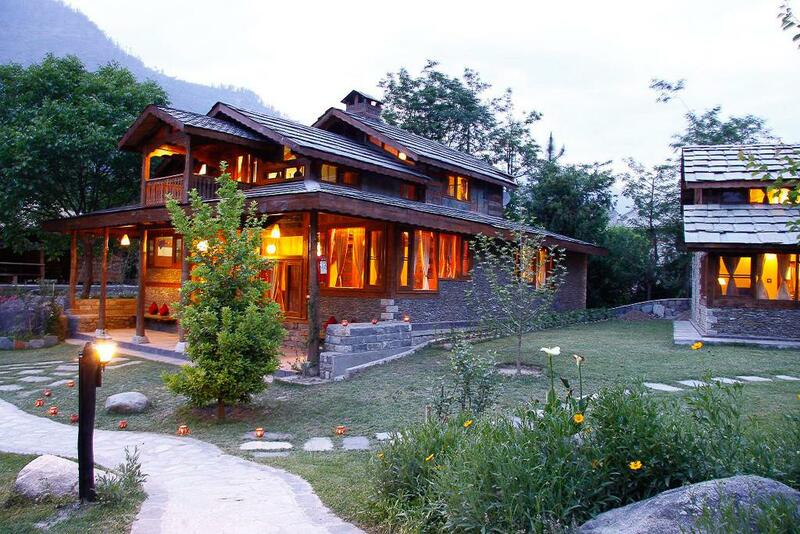 So, abandon your drained self by breathing in the pure air of the Himalayas and take home some endearing memories. Tastefully furnished bedroom+bathroom, sitting-room, dinning, kitchenette with veranda/balcony suites with wonderful views of the river and access to private gardens. 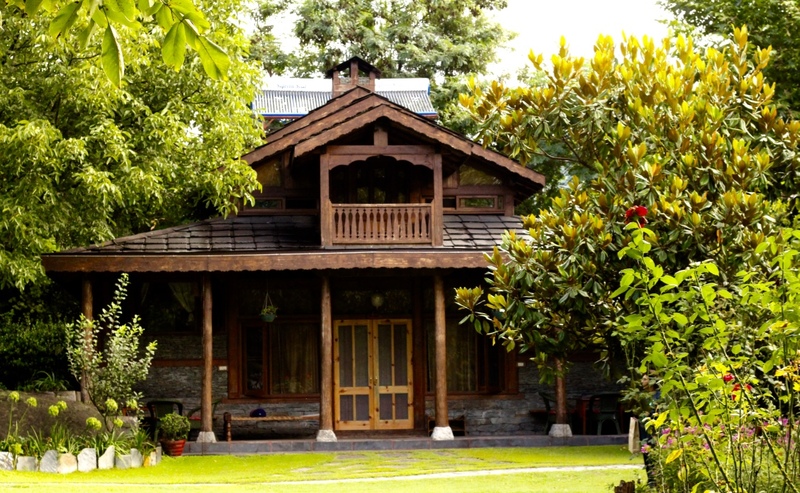 The riverside cottages and villas near Kullu and Manali, each are a generous 1500sq feet of tastefully furnished two bedrooms + bathrooms, sitting-room, dining, kitchen and a veranda with a private garden. Each of these can ideally accommodate a family of 4 or two couples. If intimation is received 30 days or more before the arrival of the guest we will refund 80% of the advance payment. Incase request for cancellation of reservation is received between 29 and 15 days before the date of arrival of the guest only 50% of the advance received will be refunded. Any cancellation request received less than 15 days prior to guest arrival there will be NO refund of the advance received. Incase of premature departure, due to last minute changes 50% of advance paid for the days not availed will be forfeited. During the peak season (April 15-July 15,September15 – Nov 15,December 15-January 15), any change/rescheduling is treated as a cancellation, however if we are able to sell the space to another guest, we will use the advance sent as an advance for the rescheduled dates. Neeralaya is located in Kullu. Guests can enjoy activities like river rafting, trout fishing, mountain biking, trekking and hiking during their stay. Some sightseeing places worth a visit are Nashala Village and Bijli Mahadev Temple. Distance from Chandigarh 246 km approx. Distance from Bhuntar Airport 23 km approx. Distance from Kullu Market 15 km approx. Distance from Mandi 85 km approx.